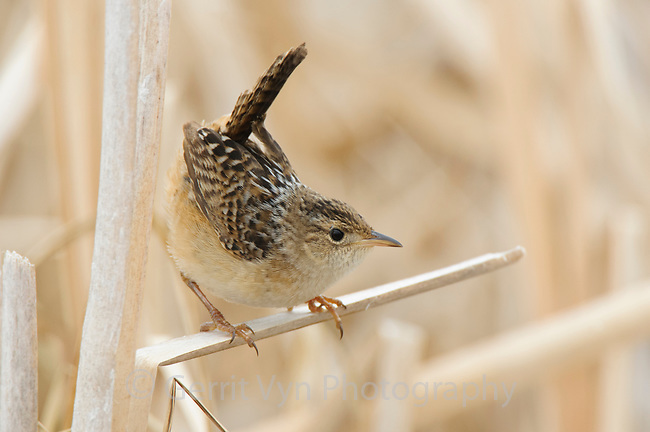 Adult Sedge Wren (Cistothorus platensis) vocalizing. Alberta Canada. May.